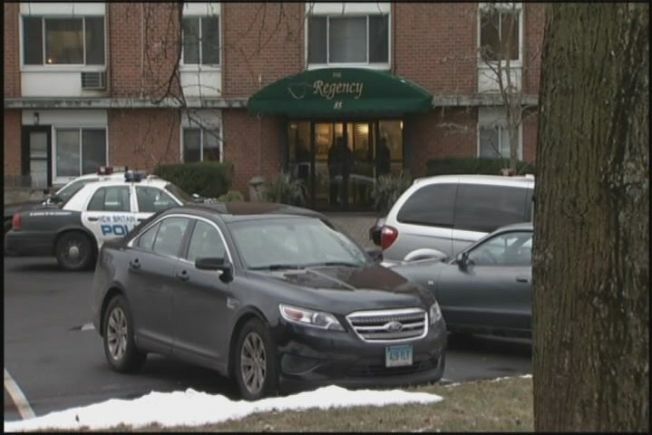 The New Britain man accused of murdering his girlfriend in her apartment in January was arrested after DNA testing linked him to the crime, and police documents show there was a history of violence between the two. Darren Davis, 48, is charged with murder in connection with the stabbing death of 49-year-old Veronica Skinzera, his girlfriend. Skinzera was found dead Jan. 27 in the apartment she shared with Davis at 85 Spring Street. Police said DNA testing led them to Davis. Investigators found three kitchen knives in a nearby dumpster, wrapped in towels and a shirt. Davis' DNA was found on the wrapping materials and the handle of a steak knife, authorities said. He was arrested March 8 on Arch Street in New Britain. Police said Skinzera and Davis had been living together for about a month and had a "tumultuous relationship which had deteriorated further" prior to Skinzera's death. According to the application for Davis' arrest warrant, New Britain police responded to four domestic incidents between Davis and Skinzera between Dec. 8, 2013 and Jan. 22, 2014. Investigators found Davis at a homeless shelter in Waterbury the night of Jan. 27, following the crime. He told police he had left his apartment Jan. 24 after an argument with Skinzera and never returned, according to the application. Acquaintances of Davis later told police he had never left his apartment for an extended period of time, the application says. Davis told police he was a recovering drug addict and that Skinzera tended to argue with him when she got high, according to the application. "I feel really bad for her daughter, her ex-husband, I really do," said Davis' mother, Helen Newson, of Skinzera. "Our family shows them condolences, but we've never had anything like this happen in our family, ever." Newson alerted police the day of the murder and said she was concerned because Davis had told her Skinzera "had someone that was going to kill him," according to the application. The victim's ex-boyfriend, David Ladd, told police he had reconnected with Skinzera in November and that she had asked to stay with him prior to her death. He said Davis reportedly tried to assault Skinzera in an elevator and was angry that Ladd and Skinzera were communicating, according to the paperwork. Prior to 1995, Davis was convicted of numerous other crimes involving drugs, assault and burglary. He's being held on $1 million bond and is due back in court March 24. Anyone with information is asked to contact New Britain police at 860-826-3139 or 860-826-3120.